This post is an excerpt from the free guide, How to Optimize Your Marketing Channels: Tips & Tricks for Taking Your Marketing to the Next Level. If you want to learn more about optimizing your marketing, download the full guide here. The way I see it, there are two big hurdles that beginner inbound marketers face when it comes to running a blog. First, there’s the “finding your rhythm” hurdle. When you’re just starting out, publishing posts with any type of consistency can be a struggle. You might start off overly ambitious, writing and publishing a new post every day, only to find that you’re completely burnt out by the end of the week. By tinkering with your blog post frequency and keeping an eye on your key metrics (unique visits, leads generated, etc. ), you will eventually land on a publishing schedule that maximizes results without driving you bonkers. From that point on, running your blog gets considerably more formulaic. Every week (or month), you know that you’ll be producing X posts, and coming up with content to fill those slots becomes another part of the routine. And then, my friends, comes the second hurdle: Once you’ve got a nice little blogging routine set up, how do you make sure that you’re continually improving? 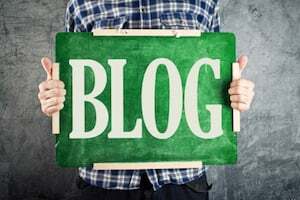 Or to put it more plainly, once your blog is up and running, how do you optimize it? The short answer is that there’s a lot you can do to optimize your blog. Below, I’ve compiled just nine of those tried and true tips, broken up into three sections: calls-to-action, headlines, and links and anchor text. Tip #1: A/B test blog CTA location, color, copy, and design. Tip #2: Use a secondary CTA to convert visitors into subscribers. If your site's visitors aren’t interested in what you’re offering in your primary, lead generation CTA, make sure you give them a second opportunity to engage: Include a secondary CTA that prompts visitors to subscribe to your blog. 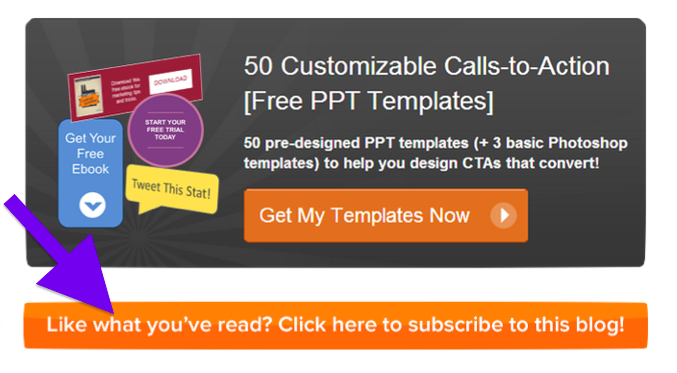 At HubSpot, we put this secondary “subscribe" CTA directly beneath our primary CTA (unless you’re already a subscriber, in which case you see something different. More on that next!). Tip #3: Use Smart CTAs to provide more personalized experiences. Smart CTAs are an example of dynamic content: content that is specifically tailored to readers according to how they’re segmented in your contacts database. 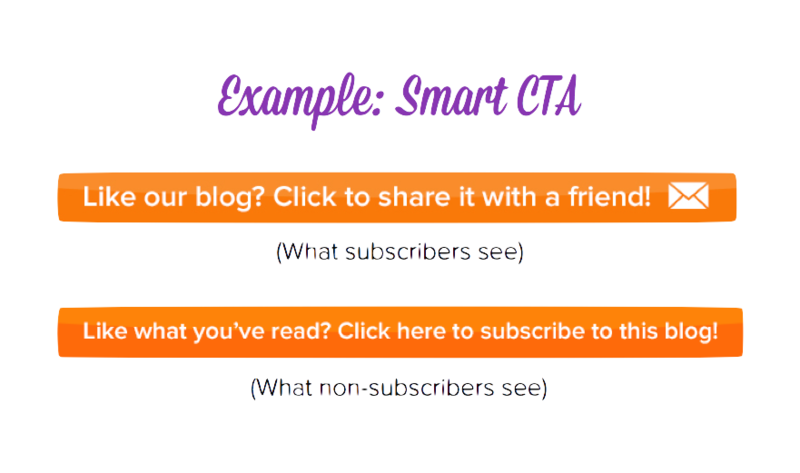 For example, using Smart CTAs, you could display an “Email this to a friend” CTA for subscribers of your blog, and a “Subscribe to our blog” CTA for non-subscribers. At HubSpot, we recently analyzed the data for 93,000 different smart CTAs — with hundreds of millions of views — over a 12-month period, and found that they had a 42% higher view-to-submission rate than their static counterparts. Tip #4: Put target keywords near the front of your headlines. I say should because, ultimately, search engines want to deliver the most relevant and high-quality content possible. So, you still need to actually create that content (i.e., your blog post). This little headline tip is just icing on the cake. Tip #5: Keep your headlines short: 65 characters or less. Search engines truncate headlines if they’re too long, adding the dreaded “ ... “ to the ends of headlines in search results. By delivering a concise headline, you can make sure your full message gets across to searchers. As a rule of thumb, most search engines will typically “max out” at around 65 characters, so ideally your headline’s character count won’t exceed that number. Tip #6: Use brackets to call out content formats. Tip #7: Link to pages that are already ranking highly in search. Pointing your blog's internal links to your highest-ranking pages may sound counterintuitive. After all, if those pages are already doing well in search, shouldn’t you give any extra “SEO juice” you have to your lower-performing pages? Here’s the thing though: Boosting a page from a rank of, let’s say, 100 to a rank of 99 isn’t going to help you much (since the majority of clicks on search engine results pages go to the top few spots). However, if you can boost a page from the 3rd spot to the 2nd spot, or from the 2nd spot to the coveted 1st spot, the impact of that change is going to be much more substantial. Tip #8: If you link to the same page multiple times in a post, make sure the first link is keyword-optimized. It’s not uncommon to link to the same internal page multiple times in a single blog post. (At HubSpot, we frequently do this when we’re writing about a new piece of content we've launched and want to drive traffic to its landing page.) However, search engines care much more about the first link (i.e. they rely more heavily on the first instance of anchor text for a given link than they do for subsequent instances). The takeaway here: make sure your anchor text for that first link includes the keywords you’re trying to target. This is the anchor text search engines care about most. Tip #9: Link to your new posts from your old posts. Writing about a topic that you’ve written about before? Help give your new post a little extra SEO authority by linking to it from a relevant older post. The process couldn’t be any simpler: Once you’ve published your new post, just update your old post with an appropriate internal link (and relevant anchor text) pointing to that new post. No time travel required! 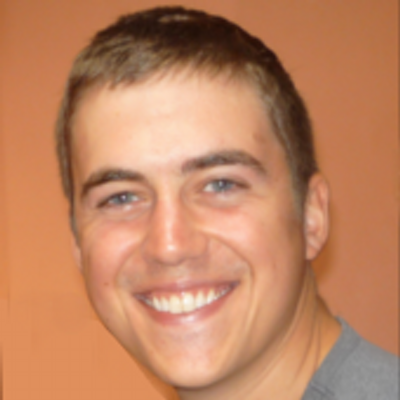 Have any blog optimization tips you'd like to share? Sound off in the comments section below!